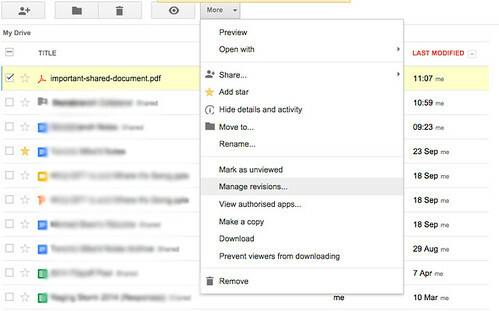 I use Google Drive to share a number of documents at work, including PDF documents. 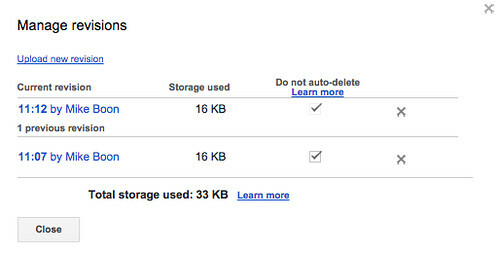 I'll share a Google Drive link with everyone, but when I update the file, I don't want that link to change. Updating the PDF without altering the Google Drive URL isn't nearly as intuitive as it should be, so here's a little tutorial as to how I do it. 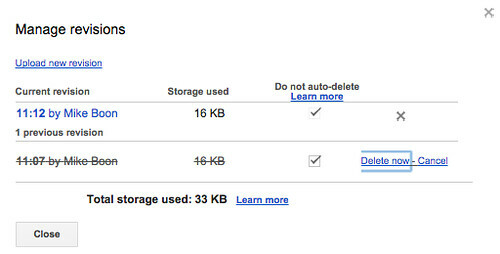 In Google Drive, select the document you want to update, click the "more" menu and choose "Manage revisions...". In the "Manage revisions" dialogue box, choose "Upload new revision" and upload the updated file. If you'd like to get rid of previous revisions, as I do, simply click the x next to the older version and then "Delete now". The power of Google Drive is grossly underestimated.